The SPOON Foundation and JCICS have recently partnered to launch a website, Adoption Nutrition. 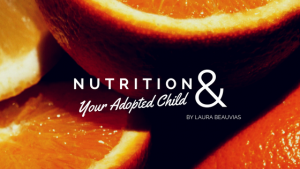 It looks like a great resource, featuring, for example, a section with nutrition profiles for various countries where children are adopted from. Check it out.